Purchase this product now and earn 1,020 Points! A real joy for passionate smokers. 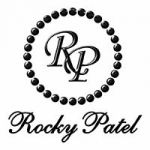 Simply put: Rocky Patel’s Vintage ’90 and ’92 are to be praised around the globe for their genius construction and unrivaled quality. When it comes to the blends, the ’90 cigar uses a breathtaking blend of Dominican and Nicaraguan Ligero as well as a salivating natural broadleaf wrapper from the heart of Honduras. The flavor palate holds an array of flavors like nuts, earth, and a smooth sweetness; having earned a “93” rating along a place in world’s Top 50 Cigars. The ’92 consists uses a almost similar blend but with a chocolaty 10 year-old Ecuadorian Sumatra wrapper, creating a mist of medium bodied smoke that hits notes off cream, roasted nuts, and coffee. With such a fantastic recipe, the ’92 earned a gracious “91” rating!